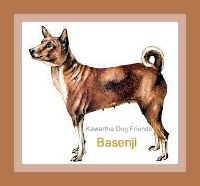 Kawartha Dog Sitter Blog: Dog Secrets- Does Your Kawartha Dog Just Wanna Have Fun? 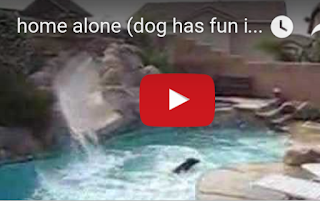 Dog Secrets- Does Your Kawartha Dog Just Wanna Have Fun? Kawartha Lakes Dogs Wanna Have Fun? Kawartha Lakes dog owners haven't posted a lot of crazy video footage like the video we discovered of this dog having a whale of a time home alone in the swimming pool. However, if you asked them, you would probably hear a story or two about what they discovered when returning home after leaving their dog to their own resources. Do you have a story to share about what your dog does when you're not home? 🐶 Related:Does Your Dog Have a Favourite Toy? Remind me to tell you sometime about how we discovered the importance of a dog sitter after leaving our playful Samoyed named Stormy home alone. Meanwhile enjoy this video of this dog thoroughly enjoying the pool when left home alone. What is your dog doing in secret home alone? Could you be missing a prize worthy video?